The Western letters and two vowels in the center make this possible acronym for lots of organizations — and any number of phrases. T and E top the frequency table for letters in English words — they are the most-often used letters in English — so this covers a wide field of words. 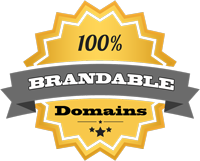 Perfect investment domain due to possible future use by a corporation.